An investigation of Glenn Lewis’s rarely-seen early-work, curated through the artist’s perspective and in relation to both local and international art of the 1960s and 70s, as well as contemporary art. To accompany the exhibition, there will be an abbreviated artist talk by Glenn Lewis with presentations by Jordan Strom and William Wood, moderated by curator Helga Pakasaar. 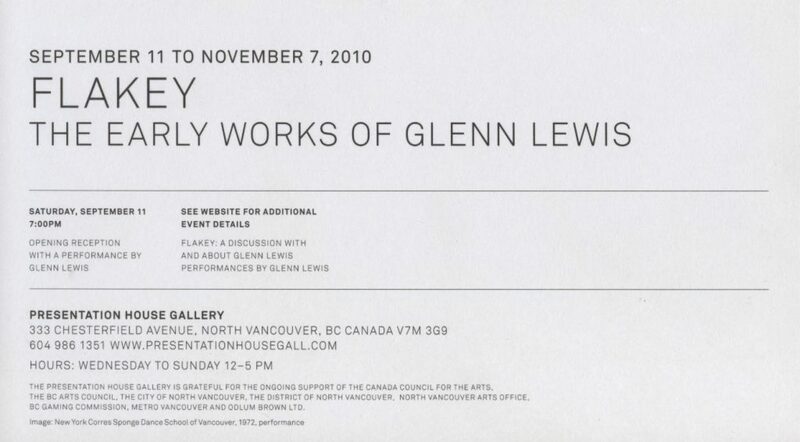 This exhibition marks the first in-depth investigation of the early works of Vancouver artist Glenn Lewis, an artist whose socially engaged spirit helped incite the cross disciplinary and interactive practices informing west coast art in the late 1960s and 1970s. Like many artists of the era, Lewis adopted a persona, Flakey Rose Hip, a name synonymous with art that was festive and playful. 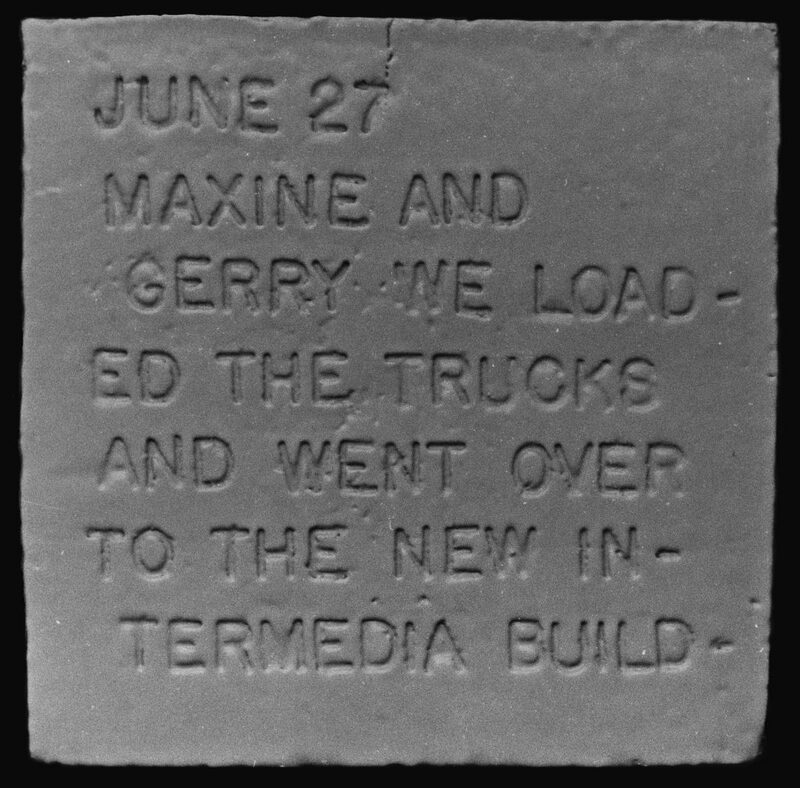 While showcasing Lewis’ humour, the exhibition underscores the conceptual rigour at the heart of rarely seen works from the late-1960s to the mid-1970s: films, video, a slide projection piece, ceramic sculpture and photography. The exhibition also includes documents of Lewis’ early performance works together with key performances remounted for this occasion. Highlights include Artifact, a large ceramic mural commissioned for the Canada Pavilion at the 1970 Osaka World’s Fair, Forest Industry (1969), a film of the artist demarcating with surveyor’s tape a square kilometer of forest on the Sunshine Coast, as well as a number of photographic series that chart urban geographies. Informal and diaristic, these works document the contingencies of mundane experience and simple actions. The exhibition will take place across a number of Vancouver locations. In October we inaugurate the new, co-operatively run gallery Satellite on the second floor of 560 Seymour Street with Four Intersections (1970), four corner video projections that depict the artist wrapping tape around four Vancouver street corners. A performance of the Forest Industry film and a symposium about Glenn Lewis will also take place at this downtown space. 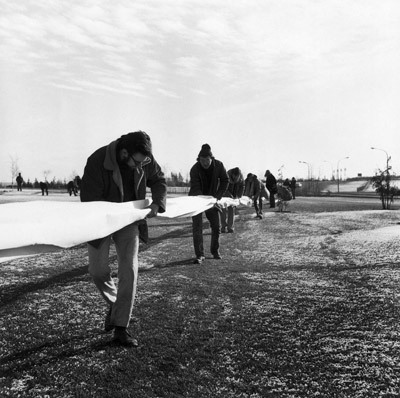 An outdoor performance event, 400 Yards of Burned Paper in a Square--originally enacted at the University of Calgary in 1970--will be performed on the morning of the 6th of October at an oceanside location. During the course of this project, a major commission of 1973 that is installed at the National Science Library in Ottawa, Great Wall of 1984, will be reanimated. In keeping with the spirit of the artist’s original call for participation, this wall of boxed personal artifacts will be added to through an internet call for new entries. Glenn Lewis was born in Chemainus in 1935 and studied at the Vancouver School of Art, UBC (here he also taught art) and with the ceramicist, Bernard Leach in England. Initially working in ceramics, by the mid-1960s he began developing a remarkably expansive art practice that has been widely exhibited, performed and screened since then and is in major collections. 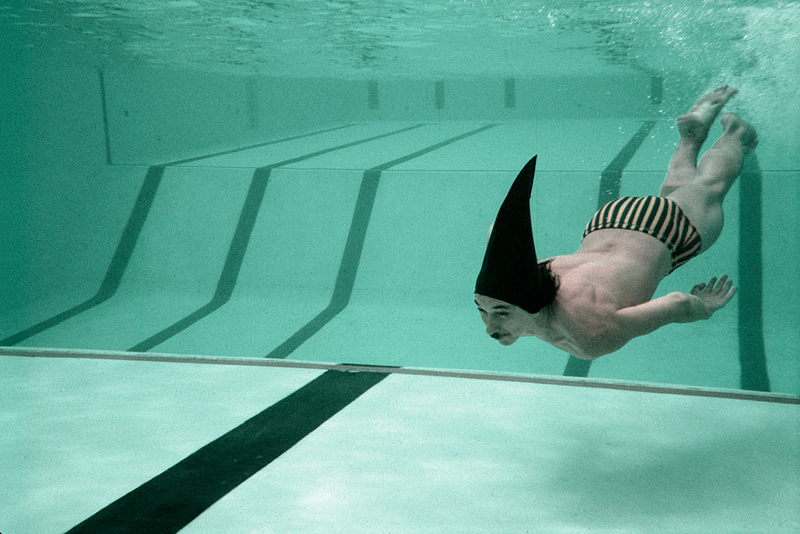 His prolific output includes sculpture, performance, environments, synchronized swimming events, multimedia happenings, installation, correspondence art, script-writing, film, photography, dinner parties and parades. A founder of Vancouver’s legendary Western Front, Intermedia Society and New Era Social Club, he is an influential figure in the west coast milieu as well as international networks. Often involving travel across the globe, many of his creative projects have been collaborations and, in keeping with his questioning of artistic authorship, remain unidentified. Glenn Lewis’s films are part of the major touring exhibition Traffic: Conceptual Art In Canada that opens this fall in Toronto. Saturday, September 11, 7:00pm | Opening reception with a Kimchi Cooking demonstration by Glenn Lewis. 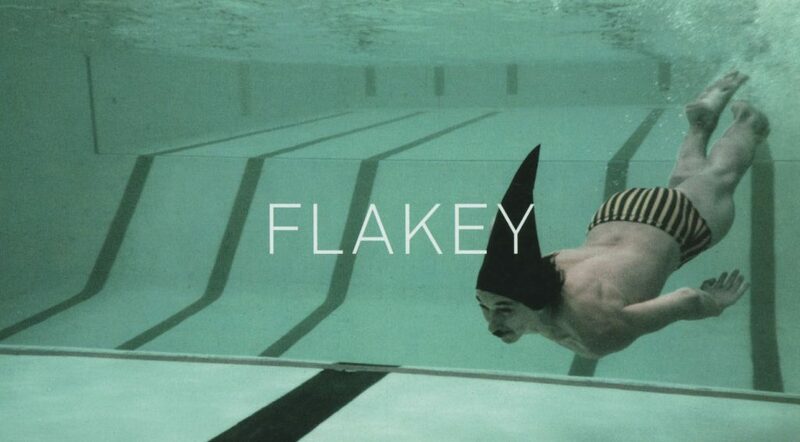 Saturday, October 9, 7:00pm | FLAKEY: A Discussion with Glenn Lewis, Jordan Strom and William Wood.